This process is unlike any other. 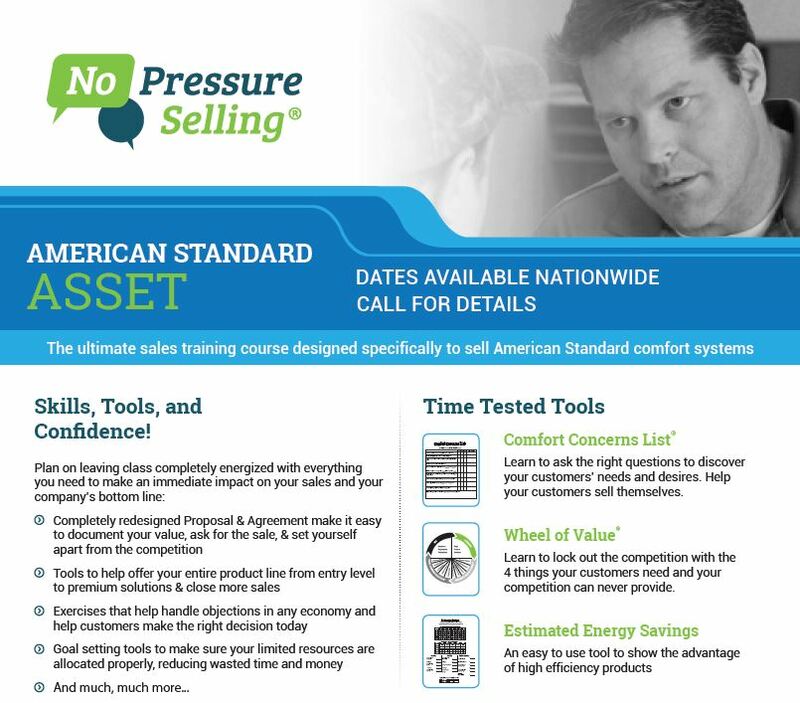 ASSET training will help you completely understand today’s consumers and close more sales. You will learn to do all this by asking the right questions, listening effectively, and presenting the best possible solution. Manipulative tricks and pressure closes simply do not work on today’s consumers. Comfort Concerns List©: Learn to ask the right questions to discover your customers’ needs and desires. Help your customers sell themselves. Wheel of Value©: Learn to lock out the competition with the 4 things your customers need and your competition can never provide. Estimated Energy Savings©: An easy to use tool to show the advantage of high efficiency products.